Could tweaking your culture transform your marketing? Google “business culture” and you’ll find yourself in an uncomfortable corner of the internet – all stock library images and invented job titles. Insight gurus, chief fun officers and images of impossibly excited people in sterile offices lurk on every web page. Of course, it’s easy to mock, but they’ve got one thing right. Internal culture has a huge impact on a business, and in particular, how it’s marketed as a brand. 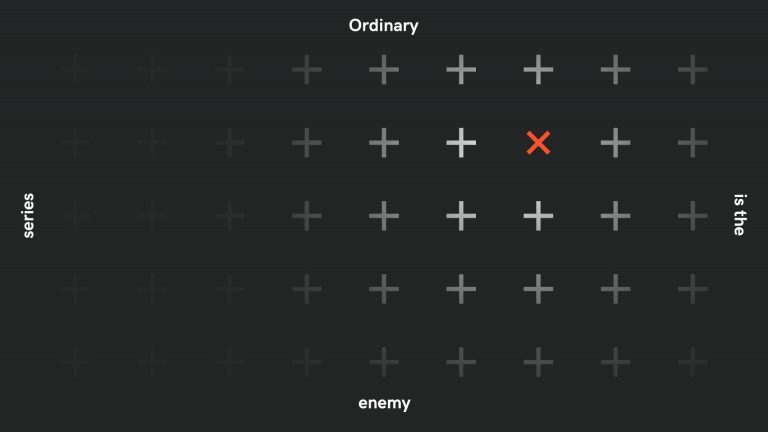 Our Ordinary is the Enemy series has explored different ways you can help your brand reject trends and dismiss recognised norms to create a business that carves its own path. This article explores how creating a culture where challenging the norm is celebrated and welcomed is a surefire way for brands to achieve real stand-out in their sector. Let’s start with a definition of culture. Culture is an evolving set of attitudes and values that are shared by people who live or work in a certain place, move in certain social circles or work in a particular area of business. Inside a business, culture influences the way people think and behave each day. It can even affect the way they deal with business challenges and day-to-day tasks. Put like that, it’s obvious how critical it is to the success of a business for its culture to be clearly explained and bought into by everyone who works for and with it. Culture has to filter down from the top. Whether by being championed and “lived” by senior people within your business or in the form of a set of agreed values, behaviours and brand purpose agreed by your board. Defining your culture starts with understanding what your brand stands for. Asking yourself what your brand’s purpose is. What value it brings to people’s lives. The values it’s founded upon. Once you can answer these questions, you’re well on the way to understanding what your culture should be. Having defined it, and ensured that everyone understands what they need to do to make it happen, you’ve got a much stronger foundation on which to build your brand. Above all, if you want your brand to break new ground, win awards and stand out from the crowd you need to make it clear that your culture is one which actively welcomes, encourages and rewards challenge and question. Leo Burnett famously said, “A company in which anyone is afraid to speak up, to differ, to be daring and original, is closing the coffin door on itself”. So cultural fit should be high on your agenda when hiring, right? The best companies hire individuals who add something different and new to their culture. If you hire someone with the same opinions, views and mindset as you, chances are their ideas will be identical to yours. Look at Apple. Steve Jobs definitely wasn’t a cultural fit – the founder was forced out 9 years after starting the company after butting heads with the Apple board and CEO. So why did Apple buy NeXT and bring him back years later? Because the brand was on the verge of bankruptcy. And they recognised that they needed a new injection of culture. Jobs wasn’t invited back to fit the company image. He was brought back in to redefine it. And we all know how many noughts that story has on the end of it. If you want innovation, give your people the time and space to think differently. Take Microsoft’s GMT time. The global brand encourages its teams to book time into their diaries – not for meetings or replying to emails but for thinking time. Growth Mindset Time gives individuals an hour or two a week to simply think. Whether that’s about a tricky problem, a solution to a target, or anything else is up to them. But booking out time makes sure that time is devoted to thinking about the issue, rather than ploughing on without any real thought. This approach gives people at Microsoft the space to consider ideas they otherwise wouldn’t have time for. Another important lesson for business leaders is to create a culture where people take ownership of work and projects. Rather than work being shuffled from desk to desk, give an individual complete ownership of a project – whether that’s managing it internally, heading up a team or taking a lead role. These approaches mean team members retain responsibility and, ultimately, the end product reflects the work they put in. There’s a famous quote “insanity is the doing the same thing over and over and expecting different results”. If that’s true, there are plenty of brands that need their heads examined. The “let’s do what we did last year, that was reasonably successful” approach is endemic within marketing. But how do you know what success is if it’s the same every year? Of course, doing it differently carries a degree of risk, but it could also be the best decision you make. You won’t know until you try. 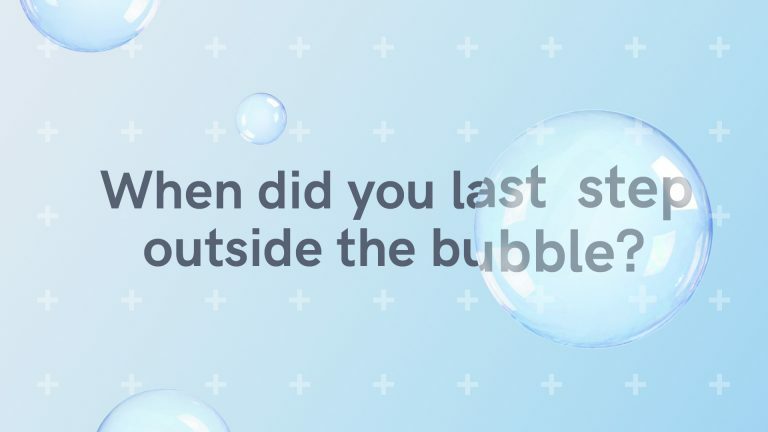 Look at AMV BBDO’s brilliant work for Sainsbury’s with the Try Something New Today campaign, for example. In 2004, Sainsbury’s had been usurped by Asda as the UK’s #2 supermarket. Sales were falling. Pricing was causing customer satisfaction issues. The brand briefed the agency to generate £2.5 billion in sales in 3 years. The obvious answer to the problem was to work on getting shoppers to defect from Tesco and Asda. 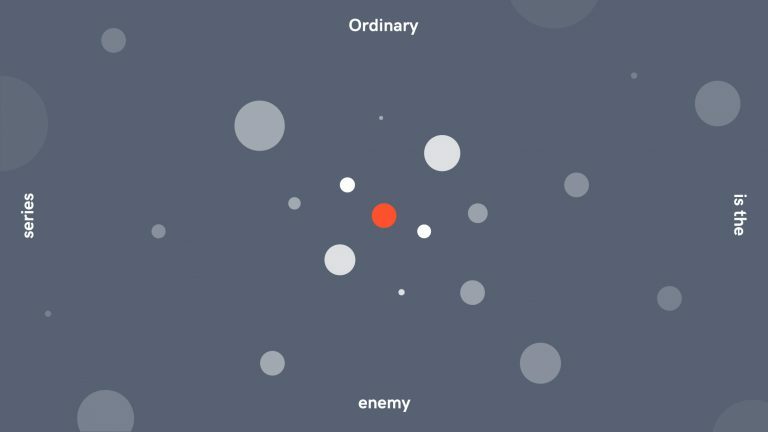 But agencies with a culture of thinking differently don’t settle for obvious answers. 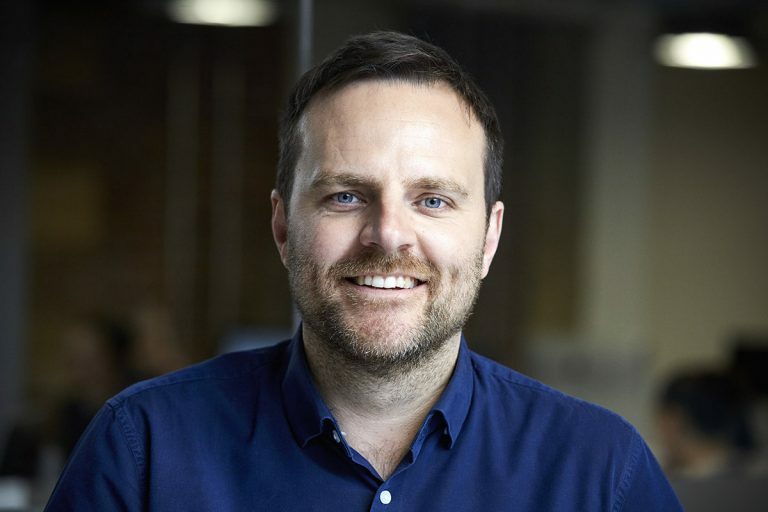 AMV BBDO realised it would be easier and far more effective to get existing customers to spend more (£1.14 each), than trying to get shoppers to change stores. Try Something New Today jolted customers out of “sleep shopping” and inspired them to try new ingredients and recipes rather than eating the same old things week in, week out. The campaign played an integral part in meeting that eye-watering target – 3 months early. But if your culture doesn’t encourage challenge and experimentation, your team will never feel empowered to explore new ideas. We’ve only scratched the surface of culture, but hopefully this article has shown it to be a powerful tool, not just a fluffy concept. To avoid the straitjacket of ordinary, you need to establish a culture where original thinking, risk taking and freedom to try new things are welcome. 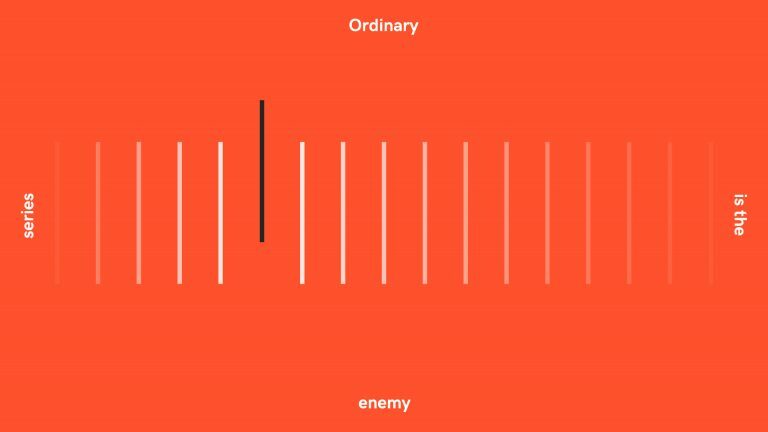 This is the last article in our Ordinary is the Enemy series. If you’d like to read the series in order, you can read about defining your business’ purpose here, and the pitfalls of playing it safe here.